Truck driver fatigue has been deemed a leading cause in the nearly 4,000 fatal commercial truck crashes every year. In December 2011, the Federal Motor Carrier Safety Administration (FMCSA) passed new rules to combat accidents caused by a fatigued truck driver. Over the last few years, these rules have been modified by Congress but they underscore the risks to innocent, well-intentioned, lawful drivers and their passengers. FMCSA is dedicated to regulating the number of hours that truck drivers can legally be on the road and has also set vastly improved standards for mandatory rest between work shifts. Unfortunately, Congress has meddled with the very regulations that could protect passenger vehicles, their drivers and passengers. On June 7, 2014, The New York Times reported, with interest, the graphic details regarding the truck driver fatigue accident that critically injured comedian Tracy Morgan and killed his companion. The accident was caused by a driver operating a Walmart truck. The driver admitted he had not slept in more than 24 hours. This is unacceptable and irresponsible conduct that puts every motorist, passenger and pedestrian at risk. 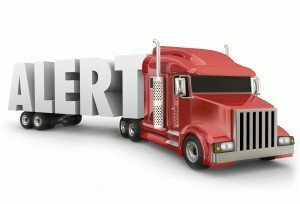 Anyone involved in a truck driver fatigue accident should retain legal counsel immediately. 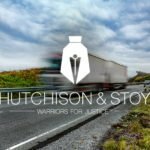 To protect victims, fatigued truck driver cases require proven investigative analysis and demonstrated legal experience. In 2011, FMCSA initiated new rules to reduce incidents of truck driver fatigue. These regulations limited the continuous “hours of service” truck drivers could legally operate a vehicle. The new regulations also set in motion much more aggressive accountability for drivers and their employers. Breaching these rules could result is license suspension and/or revocation. FMCSA also authorized penalties and fines for repeat offenders who put other drivers at risk. Truck drivers must take a rest break within the first 8-hours of their shift. All drivers must “restart” their work week once every seven days and each work week must be preceded by a 34-hour off the road rest period. Each restart must include at least two rest periods between 1:00 a.m. and 5:00 a.m. The admirable goal of the 2011 regulations was to ensure that truck drivers had the forced opportunity to have real rest (sleep) before working a long work week. The net effect was to reduce the truck driver work week from an imposing 82 hours to 70 hours, a figure that still concerns safety advocates. FMCSA used research and science to develop these new regulations, which were challenged in court on grounds the restrictions were punitive and too restrictive. Fortunately, the court approved FMSCA guidelines and the roads are safer today as a result. Lack of sufficient recovery time between work weeks contributes to poor driver judgment. Fatigued truck drivers have slower reaction times. Fatigued truck drivers fall asleep behind the wheel. Truck drivers often misjudge the level of fatigue they are experiencing and are unaware of their diminished driving skills. Fatigue is a leading reason that truck drivers drift between lanes. Anyone involved in a truck accident can expect resistance from insurance providers. These cases are complex and normally include multiple insurance companies and numerous plaintiffs. 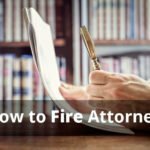 Victims can help themselves by not discussing their case or making a statement before retaining Hutchison & Stoy PLLC, Fort Worth’s personal injury Warriors for Justice. Call 817-820-0100 or fill out our online form for a free truck accident case evaluation. 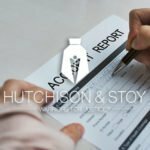 Leave the investigation and litigation of your claim to the personal injury attorneys at Hutchison & Stoy, PLLC.